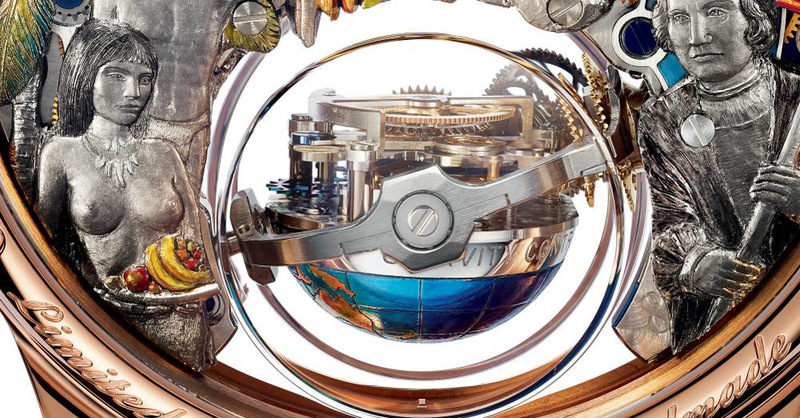 Once again, Zenith is pursuing its tribute to the famous navigator Christopher Columbus by introducing new timepiece. 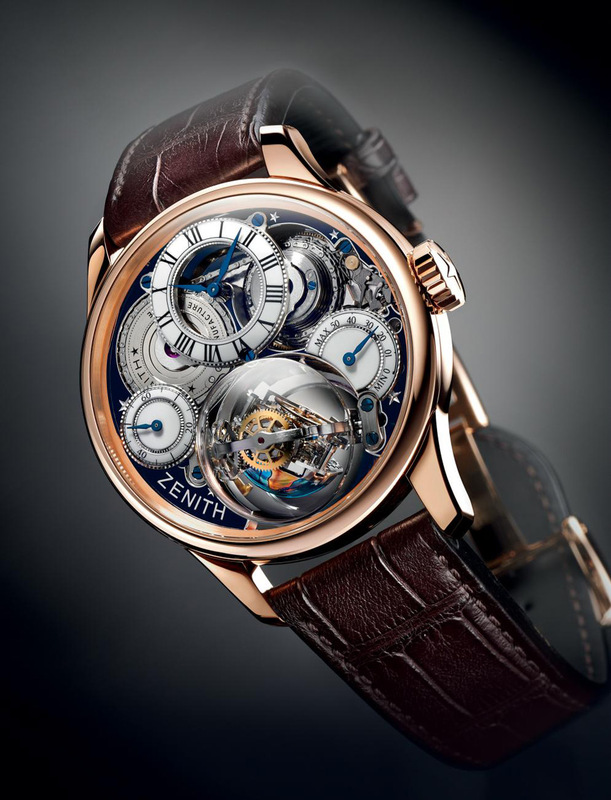 Following success of last year’s the Zenith Academy Christophe Colomb Hurricane Grand Voyage, the Manufacture adds ornate decoration and artistry to the mix in honor of Christopher Columbus. 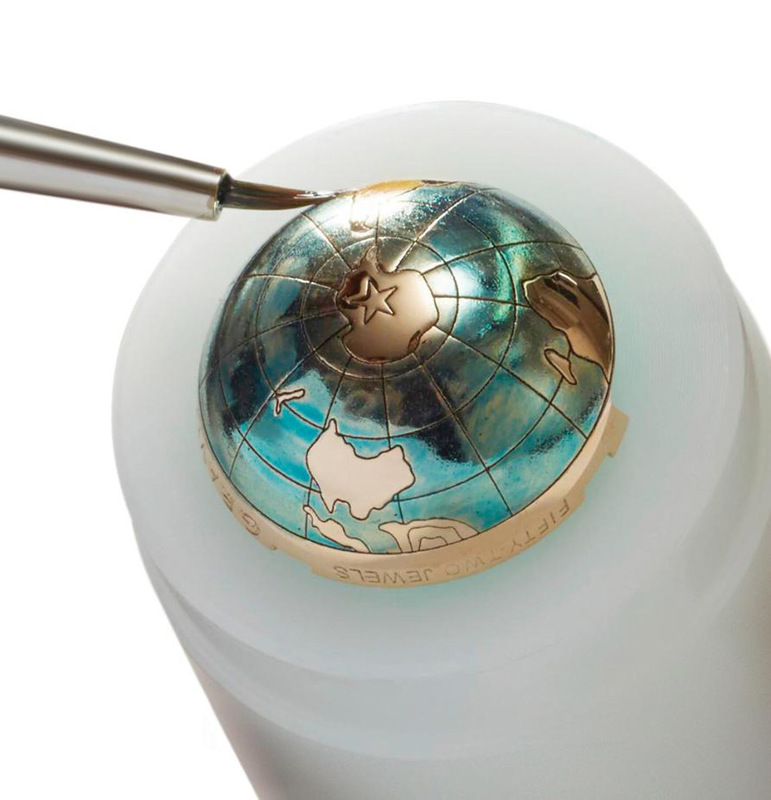 New details on the same 45 mm rose gold case, and beneath the same domed sapphire crystal include gold elements manufactured by hand and screwed to the movement: micro-engraving, enameling and miniature painting. 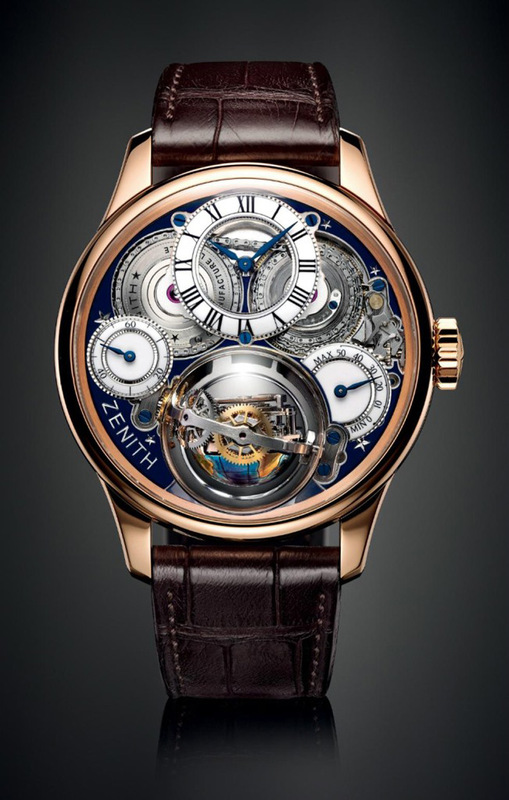 On the dial side, Zenith sets the stage for the horological feats gracing the movement, by creating an open structure affording a chance to view three mechanisms in action: the barrel with fusée-chain transmission (between 10:30 and 1:30), the gyroscopic Gravity Control system, and the high-frequency regulating organ (at 6 o’clock). 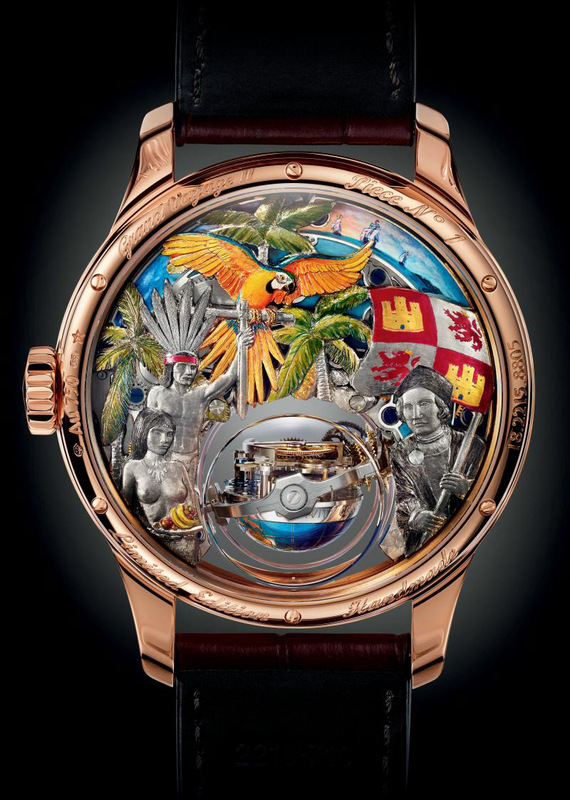 Around the back, there is a vivid and subtly layered portrayal illustrating Christopher Columbus’ discovery of America in 1492. 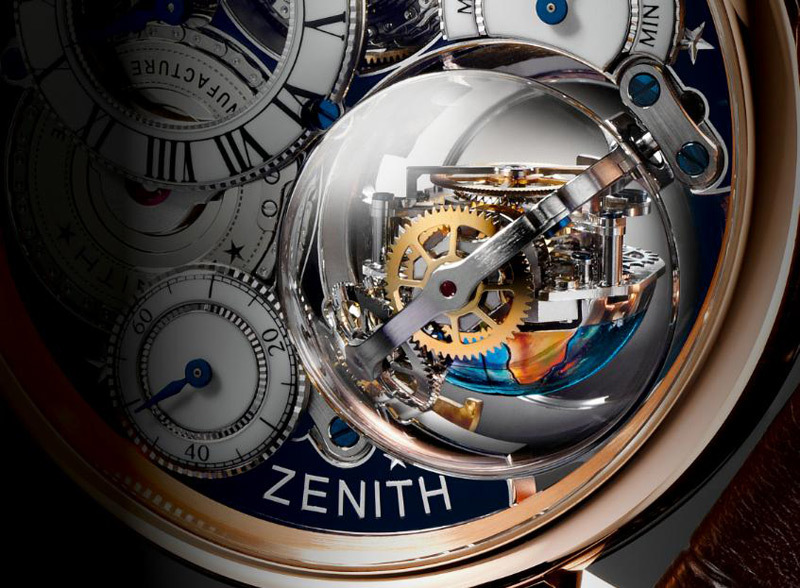 An exceptional movement comprise of 939 parts, including 354 for the calibre itself, which in turn houses the 173 parts of the Gravity Control module; while the fusée-chain system comprises 585 parts. 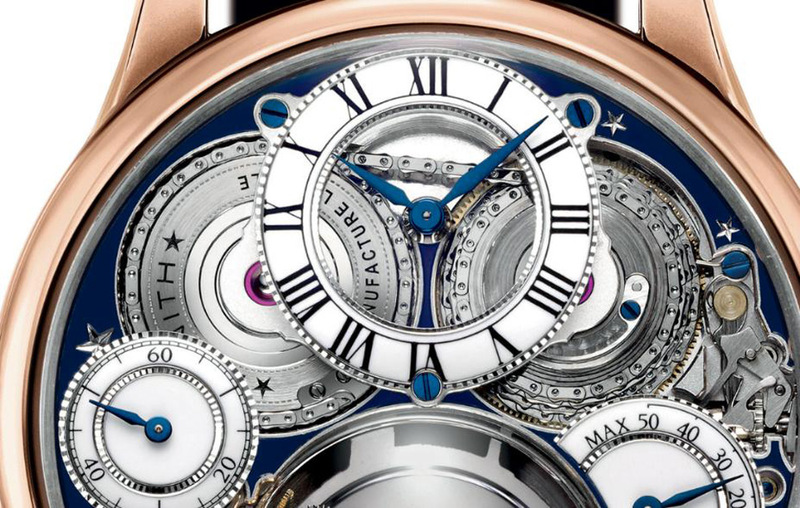 Entirely hand-finished by artisans endowed with extreme dexterity, the fabulous ornamentation on the Academy Christophe Colomb Hurricane Grand Voyage II makes each timepiece truly one-of-a-kind.